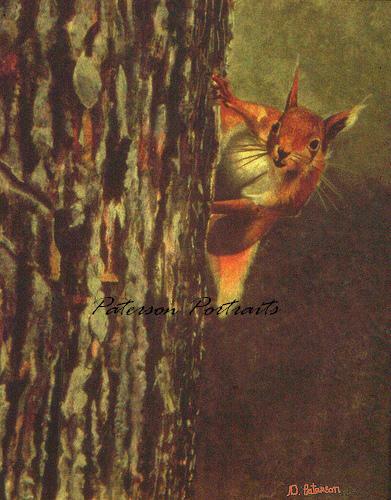 The Red Squirrel clinging to the bark of a tree. This tiny rodent is sadly in decline in Scotland since the introduction of the larger Grey squirrel. Painted in oils, this warm and cheeky painting would cheer up any room.